I actually took some outfit photos! That are not on my phone! Huzzah. They're not great but, hey, it's a start (again). Anyway, I think this outfit, or a variation of it, has probably featured here before. At least once if not more times than that. It's one of my favourite 'go to' ensembles for warmer weather and it was definitely warm (and very nice) yesterday. It was warm today, as well, but rainy and windy so posting these photos today is quite odd. This outfit is a mix of vintage (necklace, skirt that used to be a 1970s dress, belt) and new (top, glasses and shoes) as many of my outfits are. Dyed my hair again so it's all nice and fresh. And a shot where I'm not hiding in the shadows. 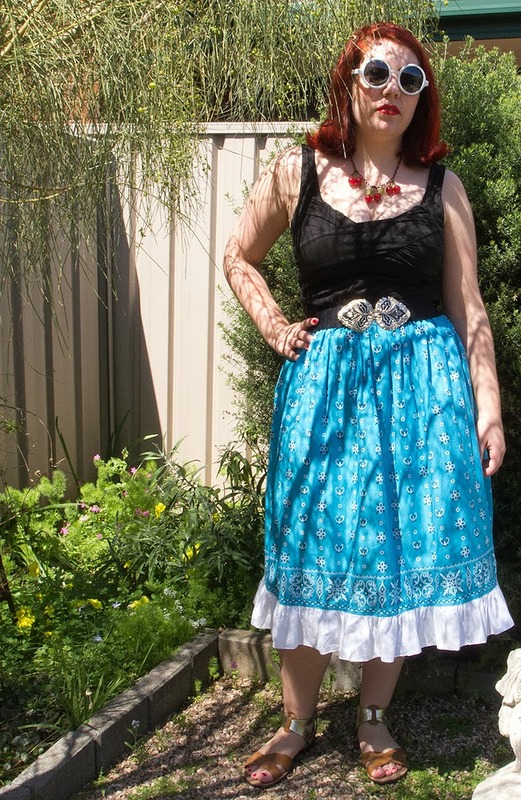 I truly do love this skirt - it's comfy and very nice to wear in summery weather. The sandals are pretty great, too, though after a lot of walking my feet were a bit sore. Splendidly fun outfit! 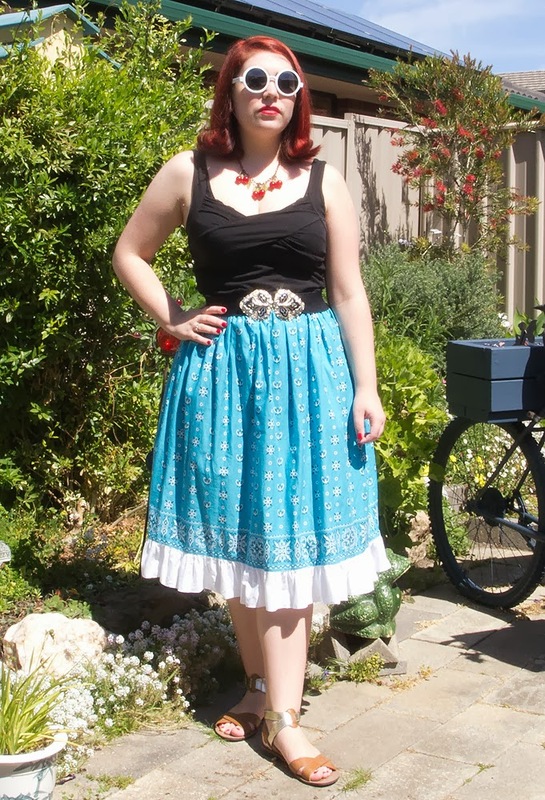 I love the combo of red cherries and a turquoise + white skirt together. Very pretty! I love the shade of your hair. I've always dreamed of having vibrant red hair, but it just doesn't suit me. It looks fantastic on you though! Love the cherry necklace with this outfit, it makes a great accent. Love that hair color on you! 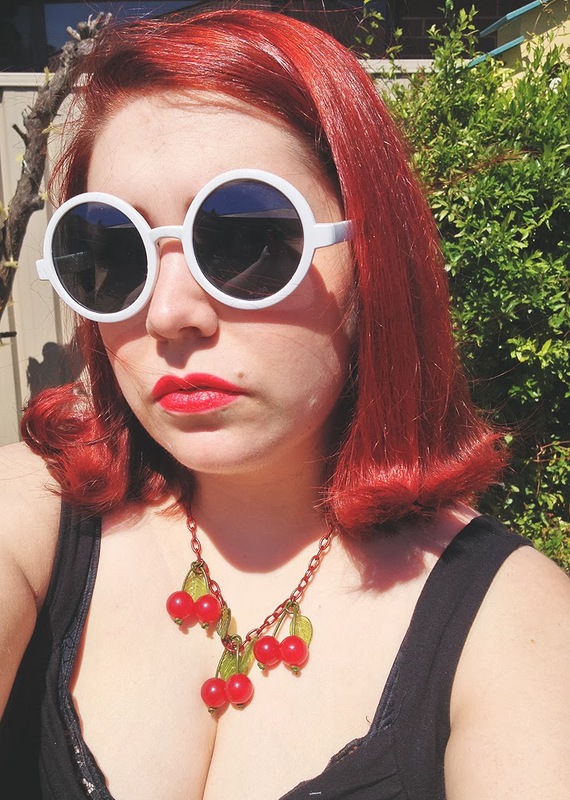 And the cherry necklace is just the cutest! love your top ... and necklace. oh, and thanks about the havoc post. very fun and interesting. ...i just missed a barbie convention when i visited home. 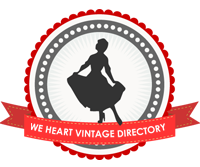 i decided not to go there, because i was afraid to spent to much money on barbie stuff to make my vintage barbie happy. Ohhh - love this outfit.